As I walked during a beautiful summer sunset here in the Presidio of San Francisco, young sparrows were darting across my path, evoking fond memories of this season in Japan, where I spent 13 years as an American expatriate. The swallow is a symbol of the hottest days in August, and their beautiful silhouette equates the summer treat, “shaved ice.” Their image is used to advertise shaved ice on fluttering cloth banners to this day. I remember the one that hung at the temple grounds where I studied gymnastics for a few years when I first moved to Tokyo from Silicon Valley at the age of 13. This morning, as I did yoga, I began to reflect on the sweaty days training in the dilapidated little gym off the grand grounds of Ikegami Honmon-ji (池上本門寺), dating to 1608. I enjoyed reminiscing about the experiences that stood out to me at that time. As I spend a moment doing some summer dreaming, I realize how much these memories are a pa rt of the fabric of my life today – shaping my approach to business and to life. I was a competitive gymnast and came to know the temple where the summer swallow banner hangs because we had been introduced to the gym’s founder, an Olympic gold medalist, by the Danish coach my brother and I trained with in US. The opportunity to pursue my passion for gymnastics in two cultures and two contexts left a deep impression. We train very differently in Japan, starting each session by chanting a Buddhist scripture on the wall, written in beautiful characters. The kids have a staccato way of saying the words, which I’m learning to mimic. Our warm-ups are exotic to me – we do yoga movements, not the jumping jacks I did in the US. I like the way my gymnast friends pummel me too. There is a degree of intensity that inspires me here. I will progress at a new rate because the kids and teachers are expecting it of me. These new friends are not like the tougher teens at my junior high school in America. They are cuddly and familial, and like things like “Little Kitty” (while my friends back home in American are writing to me about parties without parents and all the ensuing gossip.) My gymnast friends take me under their wing, explaining all the etiquette needed to follow at a the temple – how to enter and leave the sacred grounds – turning to bow to the grand tori gates. 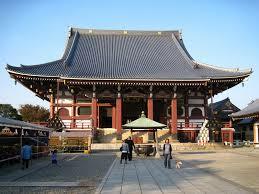 Of course, because its a temple, there are many, many steps to climb (this is where I learn to count in Japanese). When there’s time, we also wash our hands with bamboo ladles to purify ourselves. Sometimes, when it’s “needed,” we scrub the statue to relieve our gymnasts’ aches and pains. We’re also sure to use our hands to wave the burning incense toward our heads during exam season – apparently it helps! In the gym, we bow and express words of deep respect and humility to each piece of equipment before we began our training. Of course, teachers are not just teachers, they are “sensei.” Some translate this word as “master,” but I would say “mentor.” What they teach us goes far beyond gymnastics. It is a “way” – a way of thinking and being both inside- and outside the gym. During the New Year, we get to experience a true sense of transition with the heavy drumming emanating from the inner temples. Your entire body feels the vibrations and you sense that something has truly changed when New Years strikes. The ringing of the temple bells is another element of the occasion that makes the New Year feel like a fresh start. In the spring, when the blossoms are at the peak, we are invited to picnic – right in the temple graveyard. The adults are drinking sake. Fluttering white and pink blossoms, salted plum rice balls and laughter were not something I had associated with graveyards before. As summer draws to a close, we are at a pond, lighting lanterns that float across the water for those who have come before us. It is to light their way back to visit us again on earth. One older women asked me to help her find the one that belonged to her deceased son. Her eyes weren’t so good and she couldn’t tell that I was a foreigner. I felt a deep sense of responsibility towards her and her son. Here in Japan, we feel that the other world is very close to us – nature and people, living or dead. The hot, humid air of this island country on a summer’s day makes me feel that I trust humanity. Every day I am here, I am acutely aware that there is so much that is not articulated. Beneath the surface, around the corner, imbedded deep within the realm of the intuition, there is something that seems to shimmer. It is yet-to-be-discovered and provides my life with an element of mystery – a puzzle, a gift…. a bit of magic.